This entry was posted on Thursday, April 1st, 2010 at 4:00 am	and is filed under Sandwiches, TV and Film History. You can follow any responses to this entry through the RSS 2.0 feed. You can leave a response, or trackback from your own site. This was awesome, and brought back memories of your scholarly work on the subject (maybe not something you wanted to think about, or maybe so?). Also the We Love Tinky party. With Cajun food, of course. Jeebus, it’s barely 7 and I’m dying for a delicious lunch like that. Yowza, does that look and sound good. Edie Adams, what a singer, and such a beauty. That was such a terrific clip and I do not think I’ve ever seen this episode. I grew up with I Love Lucy, in reruns, at 7 every evening, I never missed it. 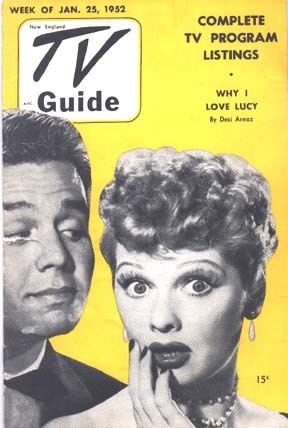 I’m one of the people who did not love Lucy. First, she reminded me of my aunt who, when I was a child, stole a lot of my mother’s time from me. But more than that, Lucy was just too loud, too hysterical, too obviously thwarted. I must have been a baby feminist without even knowing it. I just never thought Lucy was at all funny, even in her later shows. Tinky – I’ve been reading & enjoying your postings since you posted on my daughter Kari’s Bookishdark and followed your link back. I LOVED watching Lucy when I was a kid. 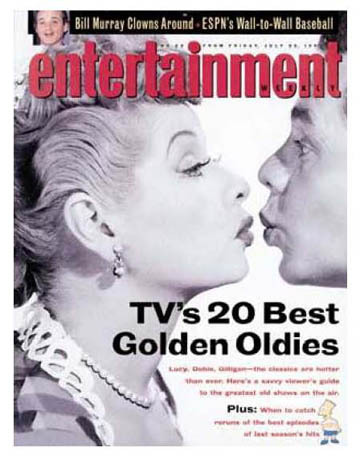 I thought Ricky was gorgeous and I loved Lucy and Ethel together. 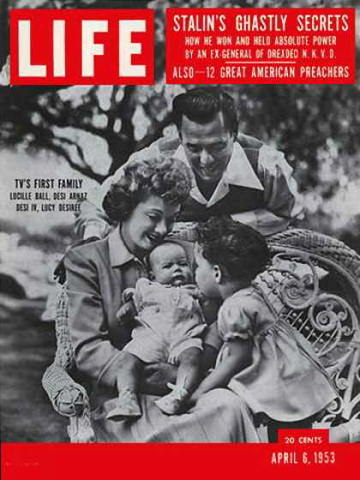 This brought back great memories of when we watched all those I Love Lucy episodes (Ozzie and Harriet and George and Gracie, too) when you were working on your doctorate. What a terrific column — well done. I can vaguely remember watchin I Love Lucy as a child ….. and of course there is that wonderful scene in Pretty Woman when Julia Roberts can’t quite concentrate on what she’s doing to Richard Gere as her attention is drawn to the programme on tv – Lucille Ball tramping grapes!! Janice, I know the feeling, as you can probably tell from this post. Teri, Sara, and Alice, thanks for helping me get through my Ph.D.; I thought of all of you when I wrote this! 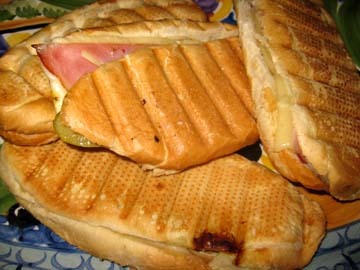 Donna, I don’t see why you couldn’t eat a Cubano for breakfast, if you don’t mind a little spice. Kathleen, Frayed, and Ramona, I’m glad to have brought back a few memories. Marilyn, I have a lot of sympathy for you. I have trouble watching Lucy sometimes myself–particularly in her later incarnations, where she seems so much like a windup doll. Desi, however, I could watch all the time. I’m sure he was indeed a cheating sun of a gun, but he does radiate charm and warmth…. Well, the other thing that you can mention, this is not a story with an entirely unhappy ending. 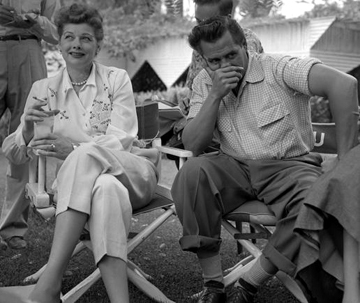 Lucy and Desi remained friendly and supportive parents and grandparents, regardless of their foilbles. Not without hitches, to be sure, but the home movies I’ve seen of the two of them in later years with the grandkids in the pool and such, it was clear they still had very deep feelings for one another and in some fashion made some peace with one another. Well, the eternal optimist in me would like to think it happened that way, how like a sitcom. That sandwich sounds powerful good. I want to make one.